Book Release Celebration with Lamar Giles! 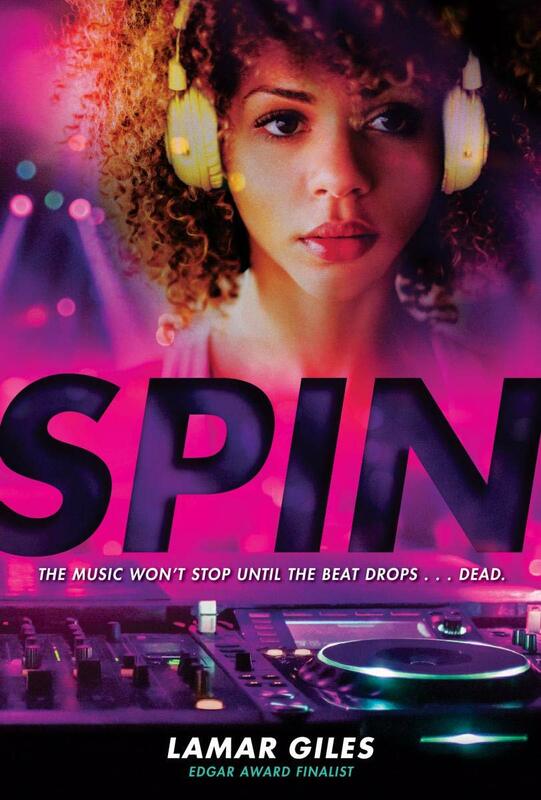 Join us for a book release event in celebration of Lamar Giles’s latest novel, Spin. This event will take place at Hai Y’all (2915 West Cary Street). Pre-order your copy here. About the book: When rising star Paris Secord (aka DJ ParSec) is found dead on her turntables, it sends the local music scene reeling. No one is feeling that grief more than her shunned pre-fame best friend, Kya, and ParSec's chief groupie, Fuse -- two sworn enemies who happened to be the ones who discovered her body. About the author: Lamar Giles is a well published author and a founding member of We Need Diverse Books. Lamar has two novels forthcoming in 2019: his debut middle grade fantasy THE LAST LAST-DAY-OF-SUMMER (Versify / HMH) and his fourth YA thriller SPIN (Scholastic). Lamar Giles is a two-time Edgar Award finalist in the YA category, for his debut YA thriller FAKE ID (HarperCollins, 2014), and his second YA thriller, ENDANGERED (HarperCollins, 2015). His third YA thriller, OVERTURNED (Scholastic, 2017) received this glowing New York Times review, and was named a Kirkus Best Book of 2017. You can see the book trailer for OVERTURNED here. FAKE ID has been optioned by Sony Pictures (not yet announced). Lamar is a contributor to the YA anthology THREE SIDES OF A HEART (HarperCollins, 2017), the editor of the forthcoming We Need Diverse Books YA short story anthology FRESH INK (Random House 2018), a contributor to the forthcoming YA anthology BLACK ENOUGH: STORIES OF BEING YOUNG & BLACK IN AMERICA (HarperCollins / Balzer & Bray 2019), and a contributor to a forthcoming We Need Diverse Books middle grade anthology. He has published several short stories for adults. You can see tv interviews with Lamar here, here and here, and a truly fun “Fun Facts” short interview, created by HarperCollins. Visit his website for more! Book Reading & Signing with Hampton Sides! Reading with Beasa Dukes and Semein Washington!